Though the Yoga C730 doesn't offer anything special in the graphics department, this might be a nice machine for visual work. 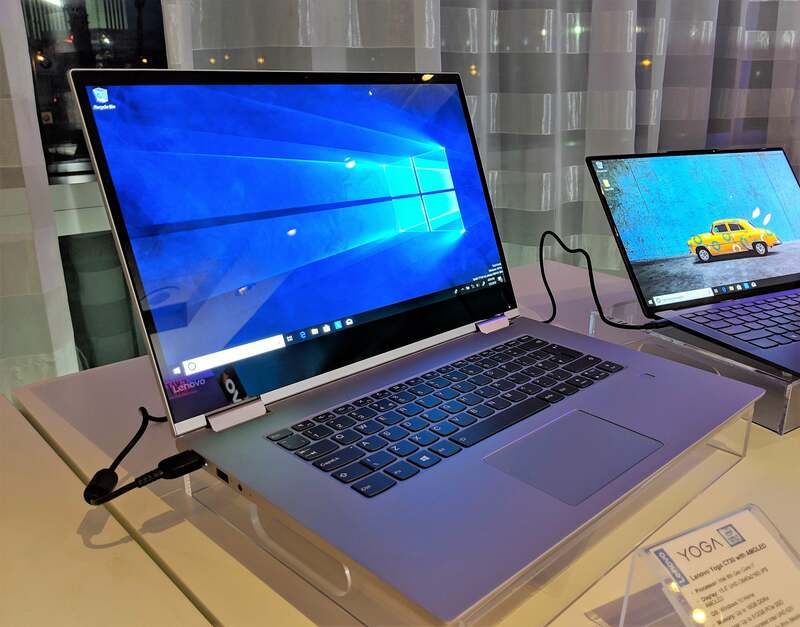 Lenovo's new Yoga C730 and S940 feature some impressive hardware (Intel Whiskey Lake!) and yes, some impressive software as well. For people who prefer top-of-the line TVs, Lenovo’s 4K AMOLED upgrade to its Yoga C730 laptop should encourage you to take notice—this should be one high-quality multimedia 360-degree convertible PC. 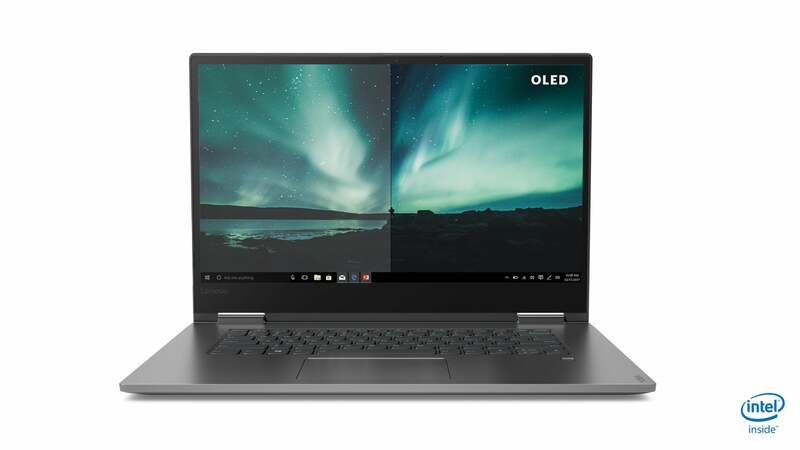 Lenovo’s Yoga C730 with AMOLED should be one of the new products that attracts passersby to Lenovo’s booth at CES 2019 here in Las Vegas. AMOLED displays are known for deeper, inky blacks, where the light output is actually restricted to make dark scenes look, well, dark. Pairing that luscious 15.6-inch display with the C730’s integrated JBL speakers and Dolby Atmos audio makes for a laptop with visual as well as audio pop. This illustration helps show off the visual advantages of OLED: with a conventional LED screen, even dark areas radiate light. With OLED, the display throttles down dark areas, making them blacker. The large 15-inch AMOLED display dominates the Yoga C730. Once again, Lenovo has integrated 8th-gen Core chips into the Yoga C730, though “8th-gen” is a rather broad label these days. (Lenovo tells us that they'll be "Whiskey Lake" chips.) Lenovo also offers up to 16GB of DDR4 RAM, as well as 512GB of PCIe SSD storage. 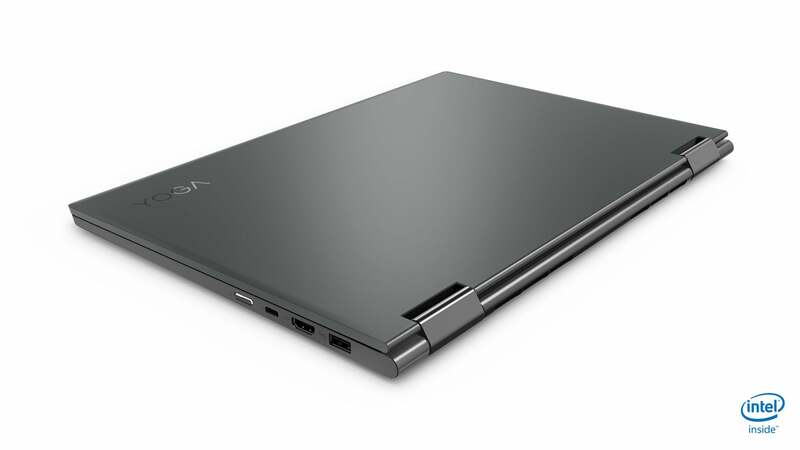 Outside, the Yoga C730 is manufactured out of an anodized aluminum chassis for additional durability. There’s a fingerprint reader, too. Still, there’s a penalty to be paid for the large screen—the Yoga C730 weighs 4.16 pounds. As the name suggests, the Yoga C930 can be flipped over into tent mode. 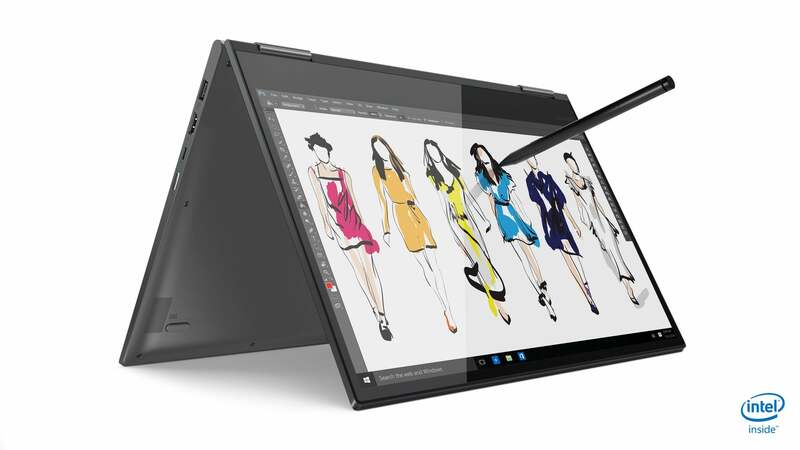 Lenovo’s new Yoga C730 is built of anodized aluminum.